Since the beginning of the computing industry, it has been the case that hardware platforms produce software innovation. A single innovation in hardware can provide the base for a multitude of software applications. In the process, thousands of companies are created, millions of customers are acquired and billions of dollars in revenues are generated. Hardware innovation in the 1970s and 1980s by IBM around the personal computer led to software innovation by now Fortune 500 companies like Microsoft, Oracle, Adobe, Symantec and SAP. In the mid 2000s, hardware innovation by Apple on the iPhone led to many of today’s rising stars: Twitter, Instagram, Flipboard and Waze are all built on mobile platforms. It is still too early to tell whether Google Glass will be the next ubiquitously used hardware platform spurring software innovation. It looks like the product development teams have a ways to go to iron out some of the kinks and lower production costs to get the price down to what consumers would be willing to pay In fact, last week Forrester Report published survey results showing that only 12% or approximately 21.6 million U.S. online consumer would use Google Glass on an everyday basis. Yet, if we looked back in time, I don’t think the early adoption numbers for the personal computer or iPhone would be all that different, especially pre-launch. Nonetheless here we are in 2013 and I can count on one hand how many people I know who don’t have a smartphone or a personal computer. If Glass is able to capture broad consumer appeal, you can count on another big wave of software innovation. Already, Google has released parts of its developer API and the applications are limitless—everything from education to health to advertising. 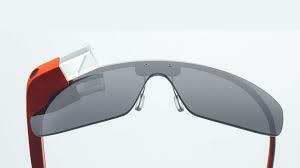 Smart entrepreneurs and VCs will already start thinking about software applications Glass could enable. It’s a great time for innovation.